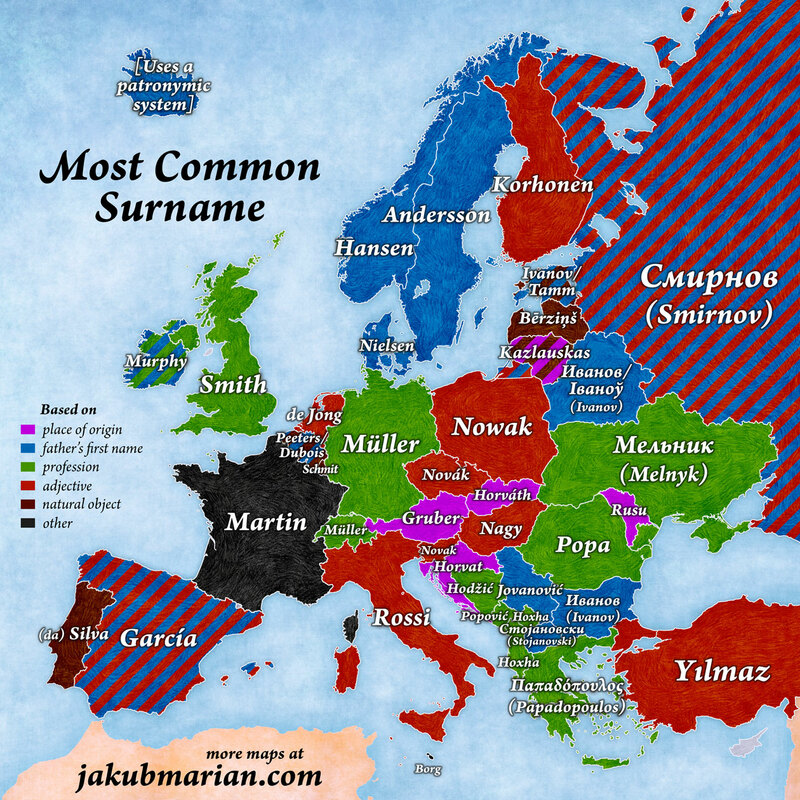 eet the Kowalskis, Nowaks, Mickiewiczs and Lewandowskis – and find out out how these names came to be the most popular, symbolical, typical and strangest Polish surnames. Cognominal – created from a nickname, usually based on occupation (so-called occupational surnames), a physical description, or character trait. Compare Kowalski, Głowacz or Bystroń. Toponymic – these names are derived from place of residence, birth or family origin. Like: Brzeziński. Patronymic – usually derived from a person's given name and usually ends in a suffix suggesting a family relation. Think of: Piotrowicz or Staszczyk. I then wonder where my Polish families surnames Kotowicz, Pantoflinsky, Kalinowski, Kwasieborski and Kazcmierzak come from. Maybe less common names? My mother had or has an old Polish friend in I think Michigan who is called Alina Dowkont. Now I know that her roots, like that of many other Poles are Lithuanian. Pieter, your family last names sounds familiar and are quite popular, but your Polish friend called Dowkont is a bit unusual. I am glad that you checked that it is Lithuanian. My mothers friend called Dowkont. She is an old lady. I have never met her, she is a friend of my moms.